Mini was launched by the British Motor Company (BMC) on August 26, 1959. It is a fashionable, small hatchback. 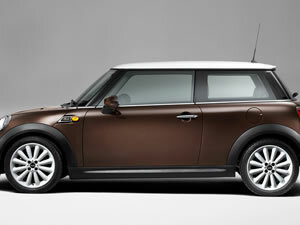 Mini has got a great success more than half century. With the independent suspension system of four Mini wheel rims and more connecting rod suspension system of rear axle, the handling of this sports car is superior. Mini car adopts front wheel rim drive. The former wheel rim brake is ventilated discs type. The rear wheel brake is the disc type. The steering is electric power types. Mini wheel rim is made of steel. Wuxi Hengsheng Wheel Co., Ltd is a professional Mini steel wheel rim manufacturer and supplier in China. In addition to Mini steel wheel rim, we also provide other famous models steel wheels (rims) for our clients around the world, like Acura wheel rim, Audi wheel (rim), BMW wheel (rim), Ford wheel (rim for Mercury), Buick wheels (rims), Cadillac wheel (rim), Chevrolet (GMC) wheels, etc. We possess a professional technology team to guarantee the manufacturing of Mini wheel rims. We will checkout all the products and give out a survey report. According to the needs of every client, there will be a dynamic balance sample survey among parts of the qualified Mini wheel rims.